Erica, Julia and Raymond Zabkar enrolled at UNH in fall 2017 as members of the first class of Granite Guarantee recipients. (Photo credit: Jeremy Gasowski / UNH). Paige Balcom could have gone just about anywhere for college. The Zabkar triplets — Erica, Julia and Raymond — weren’t sure they could afford to attend college at all. That all four — and thousands of students like them — ended up at UNH is thanks in large part to scholarship opportunities that were made possible by CELEBRATE 150. Balcom ’16, a mechanical engineering major from Londonderry, New Hampshire, earned a full ride to UNH as a Presidential Scholar and recipient of a Hamel Scholarship. The university’s most prestigious scholarship program, the Hamel Scholars and Scholarship program was created by UNH parent and donor Dana Hamel to keep New Hampshire’s most promising students in state for college — and ideally, for the long haul as contributors to the state’s intellectual and economic prosperity. For Balcom, the vistas made possible by her scholarships included Germany, Wales, Uganda, China and Peru — places where she studied, conducted research and presented academic work during her undergraduate years. For Erica, Julia and Raymond Zabkar ’20, who matriculated to UNH in the fall of 2017, one of the most important vistas that CELEBRATE 150 has made possible is the inside of a dorm room. Homeschooled by their mother in Milton, New Hampshire, with two older siblings already in college, the Zabkars knew affording college would be a challenge. “When I received my acceptance letter from Paul College, it was bittersweet, because I knew it would be a great education and provide more opportunities than attending community college, but I didn’t think we would be able to afford it,” recalls Raymond, who’d assumed he’d finish an associate’s degree at Great Bay Community College, where he, Erica and Julia had all earned college credits during high school. Erica applied for some 25 scholarships, and all three siblings assumed that, wherever they ended up, they would commute, as covering the difference between whatever grants they received and the cost of tuition would strain their parents’ limited resources. And then, in early 2017, UNH announced the Granite Guarantee: a program to bridge the gap between the cost of in-state tuition and the sum of all federal and state aid for Pell-eligible New Hampshire students, which was made possible by the success of CELEBRATE 150. 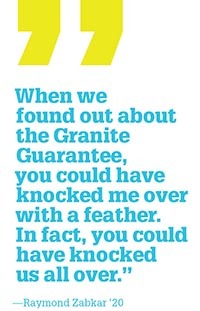 “When we found out about the Granite Guarantee, you could have knocked me over with a feather,” Raymond says. “In fact, you could have knocked us all over.” The program completely changed what UNH looked like for the Zabkars. Not only did it allow all three siblings to enroll tuition-free, it also made it possible for their parents to afford room and board so they could live on campus and take advantage of the full college experience. Across the seven years of CELEBRATE 150, the need for scholarship support for students resonated with donors, who gave more to this area of the campaign than to any other. Indeed, alumni and friends raised $117.8 million dollars from more than 22,000 gifts to provide scholarships and other forms of aid to UNH students. Vice President for University Advancement Debbie Dutton, for one, is unsurprised. One of UNH’s most generous supporters, Dana Hamel has given more than $21 million to fund the Hamel Scholars and Scholarship Program, including a $5 million gift made earlier this year to increase the number of scholarships available to students. Since welcoming its first seven scholars in fall 2008, the Hamel program has helped fund the UNH educations of more than 200 talented undergraduates — including 43 members of the Class of 2022, the program’s largest cohort to date. For Hamel, a graduate of Harvard College and Harvard Business School, the decision to create the program was an easy one. He sees UNH as New Hampshire’s greatest asset, and a program that encourages the state’s best and brightest students to enroll in their state school as a roadmap for its long-term prosperity. 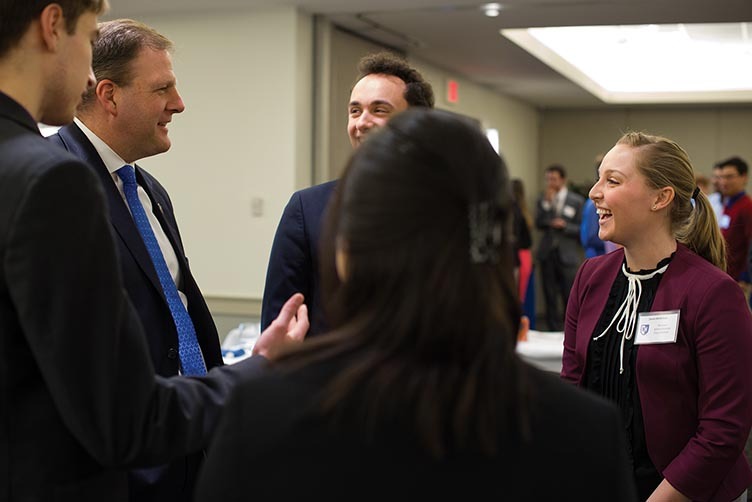 While the Hamel program does not require that scholarship recipients stay in New Hampshire, many do stay in the state — or return after graduate school or work experience elsewhere. A significant proportion of Hamel Scholars have gone on to careers in health care, business and engineering. And while it’s too soon to say whether the Hamel cohort will fulfill the program founder’s vision for the future of the Granite State, Hamel himself is confident that real and tangible benefits will accrue to UNH. Debbie Dutton says it’s hard to overstate the impact of Hamel’s gift — or of the program to the university itself. 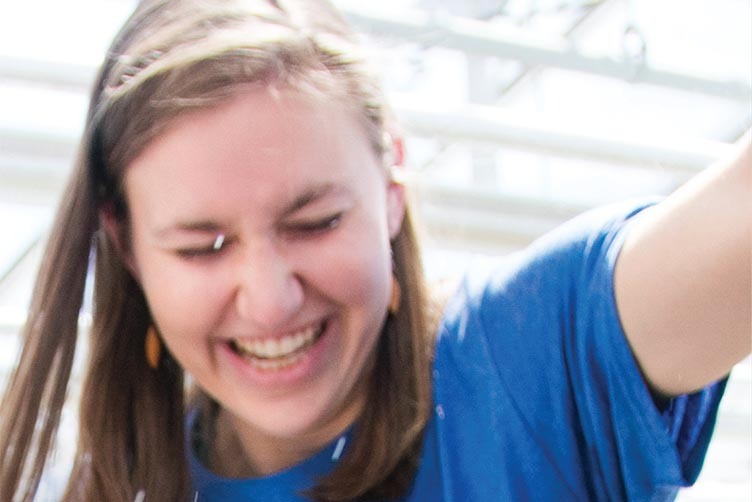 “While we’ve been fortunate in the past to have a number of generous scholarship programs that provided support for talented students with and without financial need,” she says, “the Hamel Scholars and Scholarship Program brought that to a level we hadn’t experienced before.” UNH’s largest and broadest scholarship program, the Hamel initiative cuts across all Durham colleges and majors, and emphasizes not only academic achievement but also civic and community engagement. More than a decade ago, Craig ’73 and Linda Labnon ’71 Rydin created the Rydin Family Scholarships to provide support to students coming to UNH from Berlin High School in New Hampshire’s North Country who otherwise might not be able to afford the full four-year experience. In 2017, they committed an additional $1 million to the program to double the size of the award Rydin Scholarship recipients receive. Both Berlin High alumni themselves, the Rydins say growing their program with a gift to CELEBRATE 150: The Campaign for UNH was the perfect way to pay tribute to the two institutions that provided the foundations for their own success. Each year, need-based scholarships are awarded to up to 20 qualified graduates of Berlin High School, which includes students from Berlin and the surrounding towns of Milan, Dummer and Erroll. Like the Hamel Scholars and Scholarship Program, the Rydin Family Scholarships’ focus on New Hampshire students is deliberate. While the Rydins view their North Country roots as an integral part of their success (the former CEO of Yankee Candle Company in Avon, Connecticut, Craig is the operating partner at LNK Partners, and Linda worked at Continental Forest Industries and the New England Association of Schools and Colleges), recent U.S. Census Bureau statistics indicate that only 10 percent of adults in Berlin have a college education, and many students come from single-parent households where that parent works multiple jobs to make ends meet. For many recipients, the Rydin Family Scholarship has been a key factor in their ability to attend UNH. If broad scholarship support was the number-one priority of CELEBRATE 150: The Campaign for UNH, then putting a UNH education in the hands of every qualified New Hampshire student who would still fall short of being able to afford a college education, even with a financial aid award, was the dream. In early 2017 that dream became a reality when then-President Mark Huddleston introduced The Granite Guarantee: a bold new program that ensured that all full-time, first-year New Hampshire students receiving federal Pell grants would pay no tuition to attend UNH. In fall 2017, 414 first-year students matriculated to the university’s Durham and Manchester campuses under the program. Another 386 joined them this fall. 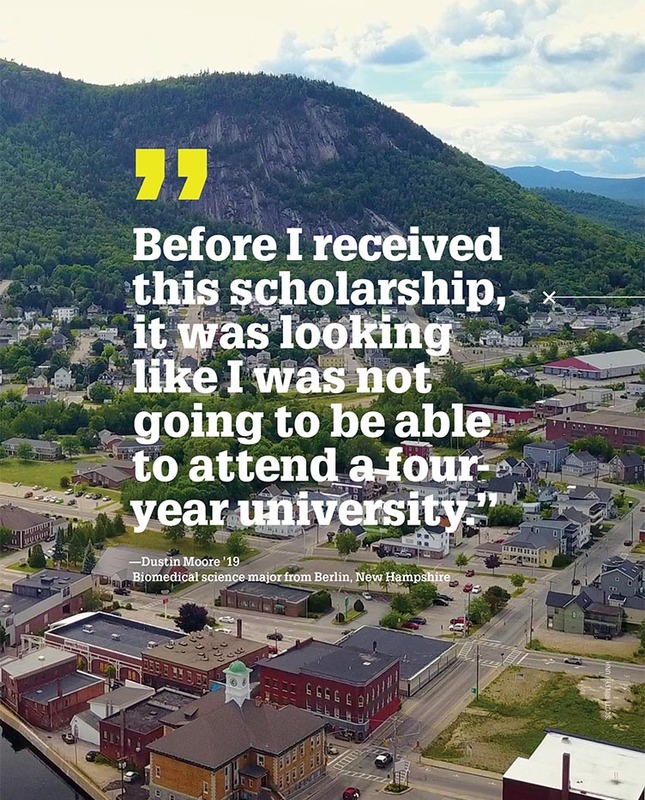 In simplest terms, the Granite Guarantee bridges the gap between the total amount of a Pell-eligible New Hampshire student’s total financial aid package and the cost of in-state tuition. The commitment remains in place for four years, provided recipients are enrolled full-time, remain Pell-eligible and make satisfactory progress toward their degrees. Victoria Dutcher, UNH vice president for enrollment management, says it’s the broad success of CELEBRATE 150 that has made the program possible, in what amounts to a virtuous cycle of sorts. “Every year, the university offers financial aid to students who qualify, drawing from a finite pool of operating resources that also support a range of other financial needs across the university,” Dutcher explains. “The campaign’s success in raising funds not only for student aid but also for those other ongoing needs effectively freed up a larger amount of operating resources for need-based aid, making it possible for us to guarantee our incoming group of Pell-eligible New Hampshire first-year students that the university would cover the difference between their federal aid and the cost of in-state tuition.” It is a reflection of CELEBRATE 150’s success that the university is confident it can sustain the program, the first of its kind in the country, going forward.